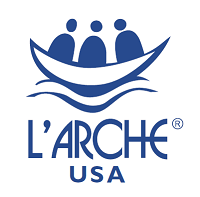 I’ve heard of “L’Arche,” but what is it really? In 1964, Jean Vanier visited asylums throughout France where people with intellectual disabilities were sent to spend their days hidden away from society. Ignited by the idea of togetherness and community, Jean decided to do something. He created the first L’Arche community – a home where people with and without intellectual disabilities lived together in family, and faith. Today, there are 149 L’Arche communities in 37 countries. L’Arche Wavecrest supports a home where people with and without disabilities share life together in a family-type environment. We are a community who share ecumenical faiths and value the worth of every person. Along with our supportive home, as Core Members & Assistants, we develop, grow, expand and become part of the world we were created to be a part of. L’Arche Wavecrest is connected to L’Arche communities throughout the region, United States, and internationally. This means, Core Members & Assistants are supported all over the world. Core Members travel to retreats and conferences, meet friends, make presentations, and share talents and faith.